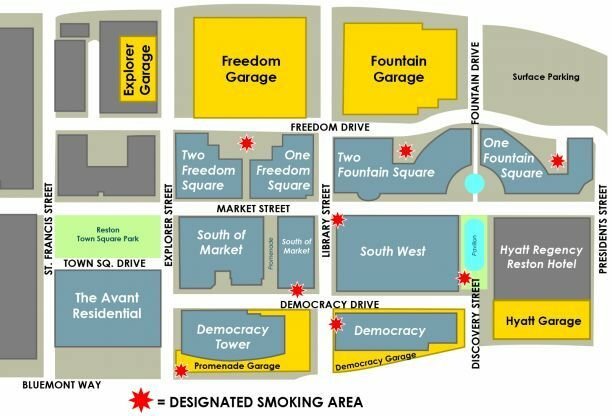 To promote a healthy environment for all who work, visit and dine at Reston Town Center, smoking is prohibited in all leased and common areas of the property including office areas, conference rooms, rest rooms, elevators, lobbies, stairwells, service corridors, and garages. Smoking is permitted outdoors in specially designated areas. However, smoking is prohibited within 50 feet of any entrance or air intake and on any roof top terrace.